Challamel MJ. Le sommeil de l’enfant. Masson Ed. 2009. Ednick M, Cohen AP, McPhail GL, et al. A review of the effects of sleep during the first year of life on cognitive, psychomotor, and temperament development. Sleep 2009;32:1449-58. 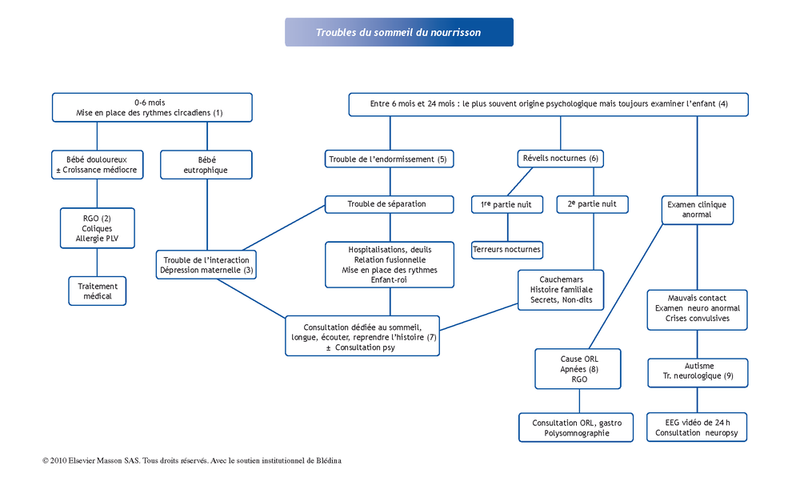 Marcelli D, Cohen D. Enfance et psychopathologie. Masson Ed. 2009. Spicuzza L, Leonardi S, La Rosa M. Pediatric sleep apnea: early onset of the ‘syndrome’? Sleep Med Rev 2009;13:111-22.